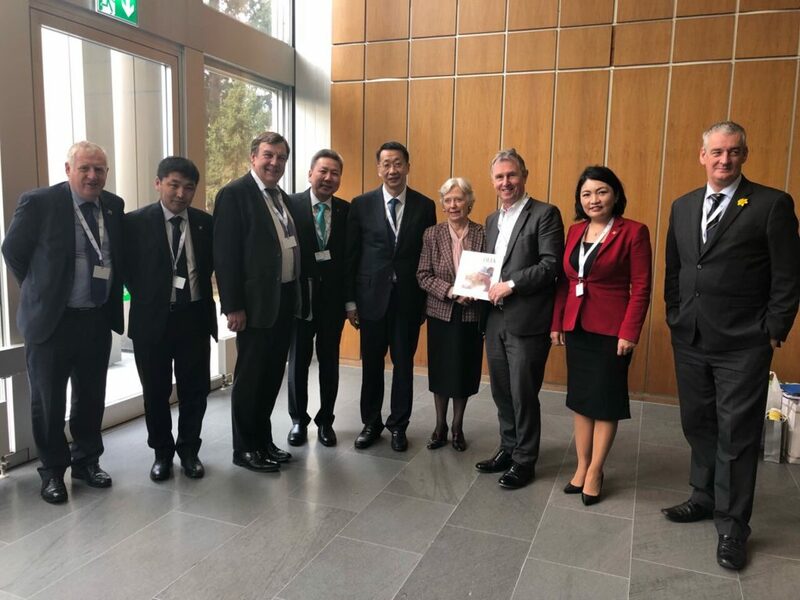 A Mongolian parliamentary delegation, headed by the L.Enkh-Amgalan, Vice Chairman of the State Great Hural (Parliament), has attended the general sessions of 138th IPU Assembly in Geneva and during in which has conducted bilateral parliamentary meetings. At the meeting with Baroness Gloria Hooper, Deputy Speaker of the House of Lords, and the British parliamentary delegation, the Vice-Chairman L.Enkh-Amgalan has noted the importance of furthering the trade and economic relations between the two countries. He has noted, moreover, the reciprocal visits are not only contributing to the strengthening the bilateral parliamentary ties but also providing opportunities to foster friendship and exchange experiences between the parliament members of the two legislative institutes. Baroness G.Hooper, shared the belief that the visit of the British parliamentary delegation, headed by the Lord Howard of Lympne, to Mongolia in November 2017 has given an important impetus on enhancement of the parliamentary relations. She has also stated that the British parliament will support and cooperate initiatives expressed by the Mongolian parliament.